The bakery market in South Korea is maturing progressively. The growth in retail volume sales of baked goods in 2014 was slightly down on 2013, according to Euromonitor International. However, it still remains a relatively high growth rate. The size of local bakery market amounted to 4.69 trillion won in 2011, compared with 4.12 trillion won in 2010 and 3.58 trillion won in 2009, which means that bakery market in South Korea had grown at an annual average rate of 15.5 percent. According to market survey in Vietnam, in 2012, the product in the bakery market in South Korea with the most value share is bread and rolls, accounting for 25.8 percent. In terms of volume share, it was also the most with 23.4 percent. The next most popular categories are cookies (17.8% value share and 16.3% volume share), cakes, pastries and sweet pies (14.3% and 12.0%), savory biscuits (14.2% and 14.8%), and breakfast cereals (7.7% and 8.4%). The compound annual growth rates of value and volume for these categories were relatively even, averaging 4.1 percent and 3.4 percent, respectively. What’s worth to notice is the outstanding performance of the energy and cereal bars, which recorded a highest 5.1 percent value growth rate and 4.8 percent sales volume growth rate. It showed the increasingly on-the-go lifestyle in South Korea and as the economic continues to develop, this trend will keep reinforcing. 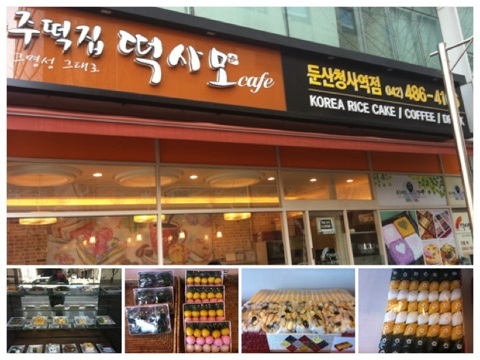 Thus a good fundamental is ensured for the development of the bakery market in South Korea. Contrary to the strong performance of energy bars, cookies had the least growth with 3.0 percent value growth and 2.8 percent volume growth. This reflects the South Korean consumers are also looking for a healthy lifestyle. The government of South Korea is protective regarding the bakery market. Several regulations intended to protect independent bakeries have been introduced since 2012. These measures include restriction on the opening of new bakeries within a certain distance of existing ones, and a quota on the maximum number of new bakeries that can be opened in a single year (set at 2 percent of the number of outlets in the previous years). Such measures tempered the rapid expansion rate previously and contributed to the slowdown of the sales growth in recent years.